Jonathan Kaplan is a travelling journalist, documentary film-maker and medical vagabond. His first book The Dressing Station introduced his work as an air ambulance doctor, battlefield surgeon and ship’s medical officer. Graduating from medical school in South Africa, Jonathan spent ten years training and acquiring specialist qualifications in hospitals in the UK and the USA as a general and vascular surgeon. 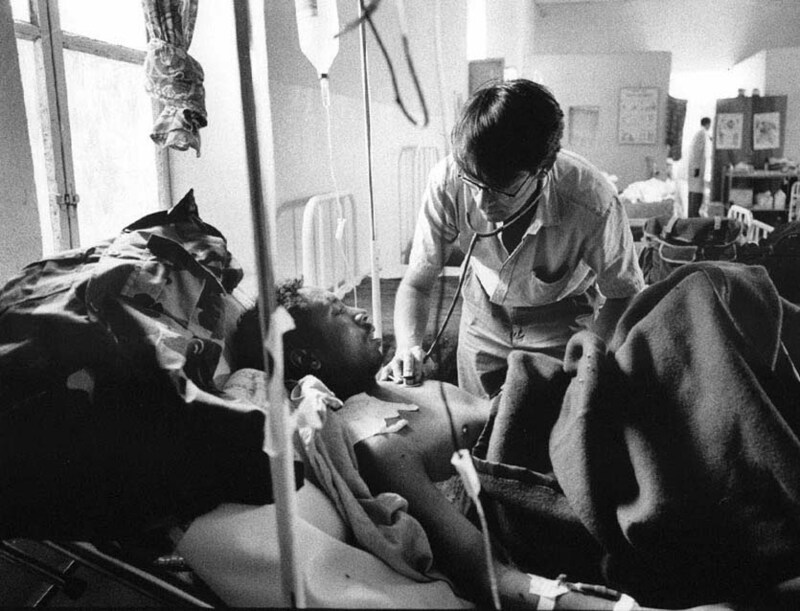 His experience of trauma surgery and Third World medicine have taken him as a volunteer surgeon to war zones: treating Kurdish fighters on the front line during the uprising at the end of the Gulf War, working in a part of Burma’s Shan State under attack by the Burmese army, in Mozambique during the civil war, Eritrea at the time of the Ethiopian offensive in 2000, and the following year in a besieged town in Angola. He has been a ship’s medical officer in the Far East and a flying doctor, and carried out medical work on mercury poisoning in Brazil, on remote tributaries of the Amazon. He has worked as a surgeon in Baghdad during the insurgency that followed the 2003 Gulf War, in Nepal operating in rural district hospitals that have had no surgical services since the start of the Maoist insurgency fourteen years ago, and in Kosovo helping with the management of land mine injuries. He has written two books on these experiences, the first of which, The Dressing Station, won both the Alan Paton Award (South Africa’s top literary honour) and the SA Bookseller’s Award. He continues to take periodic assignments as a volunteer surgeon in conflict zones amidst UK hospital surgery, film-making, academic teaching, working as a photographer and as an advisor on medical TV dramas. His second book, Contact Wounds, describes his attempt to find his place in a world in a time of instability and war, and the way in which his qualifications in trauma and uncertainty have made him a specialist in this century’s changed requirements. He is also a regular speaker on both literary and medical topics, addressing medical student groups and international surgical conferences on aspects of extreme medical practice and teaching on specialist courses about conflict and catastrophe surgery, as well as appearances at literary festivals and radio interviews. He has also proposed, investigated, researched, produced and directed documentaries on health, development and environmental issues for Channel 4, Granada TV, the BBC and European production companies.